Colombia’s state-run oil company Ecopetrol continues to be plagued by oil spills possibly due to neglect in maintenance. According to local media, the crude oil has polluted parts of the delta of the Magdalena River, the country’s most important water way. 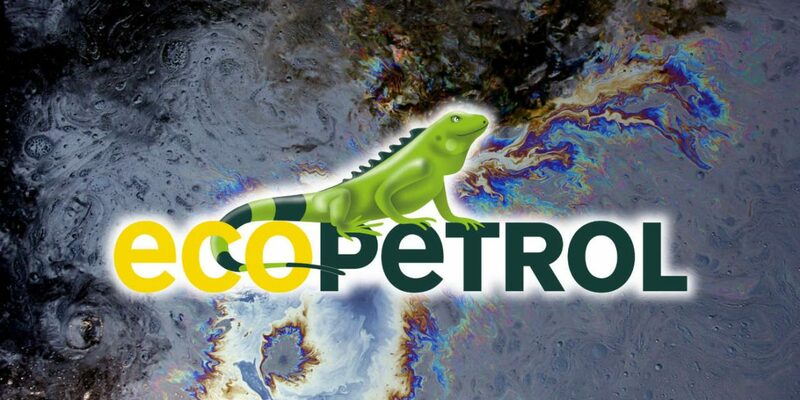 The true damage is hard to calculate; According to Ecopetrol, the spill was due to “a possible 10-inch rupture in the pipe that transports the product from Cantagallo (Sur de Bolivar), to Island 6 in Puerto Wlches. This would imply that the crude oil is flowing directly into the Magdalena River. More than 1,600 locals were forced to leave their homes amid the emergency. Some 300 fishermen were forced to immediately end work. Ecopetrol announced Wednesday that the pipeline causing the spill had been shut to avoid further leakage. The company also said it would begin isolating parts of the river to contain the spill. The company failed to tell how much crude oil had been spilled or what caused the rupture. Locals from areas that depend on the polluted waters for drinking water have said that Ecopetrol has failed to provide drinking water or food supplies. According to Colombian law, a state-run entity that deprives a community of its basic necessities, it must provide humanitarian assistance until the situation is normalized. Oil spills like this one has Ecopetrol against the wall; two top executives were suspended last month and the CEO, oil czar Felipe Bayon, is under investigation over neglect. Several authorities opened investigations over a major oil spill that happened just miles from the one that is polluting the Magdalena River now. Bayon and his predecessor, former Minister Finance Juan Carlos Echeverry, are expected to be interrogated over the company’s alleged failures to carry out standard maintenance procedures. The maintenance problems seem to have begun after Echeverry led the company into a major crisis between 2015 and his resignation last year. While in office, the economist went on a privatization binge and embarked on major cuts, and still driving up the company’s debt from $623 million to $15 billion. Between the arrival and resignation of the former minister. stocks lost 33.5% of their value on the New York Stock Exchange, according to news website Las 2 Orillas.